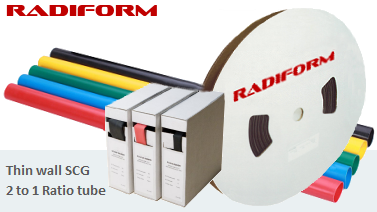 Thin Wall SCG 2:1 ratio heat shrink tubing for insulation, cable looming and colour coding in electronics, electrical and automotive electrical applications. Printable Tube is thin wall tubing for ink identification of cables. Heat Shrink Kits include thin wall and dual wall packs, great for the tool box. 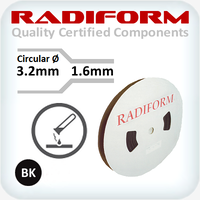 Dual Wall RDW 3:1 ratio adhesive lined tubing for automotive and marine electrical applications. Diesel Resistant for chemical and high temperature automotive and marine applications. 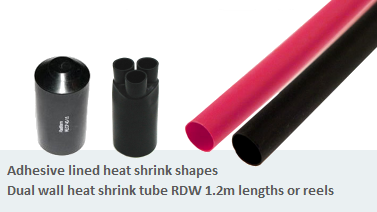 Medium Wall RMW provides a range of high shrink ratio heat shrink tube with a heavy hot melt glue lining, for LV cable joints and terminations. 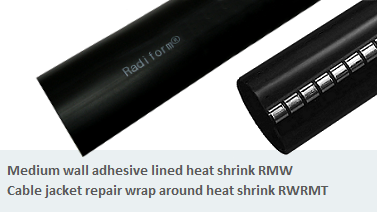 Wrap Around heat shrink cable sheath repair without cutting conductors, rated to 1kV. End Caps protect cables whilst in storage and during building construction. Breakouts medium wall for sealing and supporting multicore cables prior to termination.